Microbrewed Beer of the Month Club Review (2019) Is It Worth It? Home > Beer Essentials 101 > Microbrewed Beer of the Month Club ReviewIs it Worth Joining? The Microbrewed Beer of the Month Club is one of the best clubs that you can join. I think that their longevity proves this. Over the years, we’ve seen many clubs come and go. Some are successful for a short amount of time, and some go out of business almost immediately. Why is this? Properly running a club is tough work. Researching and tasting hundreds of beers every year to provide your members with the highest quality selection is time consuming and expensive. Only the true quality companies make it in the long run. Microbrewed is one of those companies. It was established in 1994 and has continued to serve its members with some of the best tasting selection that you are likely to find anywhere. It says a lot about the company’s integrity and quality of membership to be open for more than 20 years. That’s enough about the history of the company. Let’s talk about the fun stuff. Let’s talk about the things that make this club right for you. First off let’s see how this membership works. 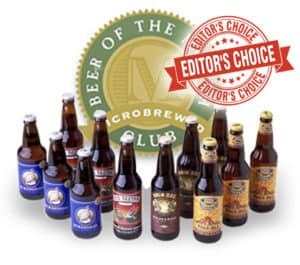 The Microbrewed Club is unique in that it has four different mini clubs that you can join. Each themed differently give you a little different selection to cater to your tastes and interests. Each club works the same way, though. You will get twelve, 12 oz. bottles in the mail each month including at least four different styles. You will also receive a newsletter with great information about the month’s selection, the featured breweries, and even some tips on food pairing. They also offer suggestions for related brews. So if you liked a few of that month’s picks, they will give you suggestions for other beers that taste similar that other people liked. As you know we from our best beer of the month club article, we like to rate clubs based on five different categories. The Microbrew Club’s beer selection and variety are almost endless. They have close to 50 different styles of beer including tons of variety in each style. It’s hard to believe with this much to offer that you will not get an entirely new selection each month of beers you love. The key to finding good beer is to try more beer. This is Microbrewed philosophy. 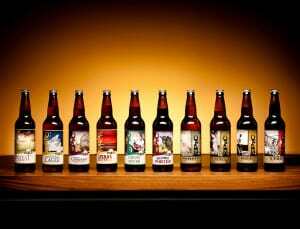 They personally taste and rate over 500 different new brews each year to expand their ever-growing selection. The team travels around the country and world meeting new brewers and tasting new brews. In the process, they develop relationships with the small and large brewers to experiment and create new flavors. Because of these relationships, Microbrewed can get exclusive deals, discounts, and bottles that are not offered to the public. This means that as a member you will have exclusive access to hundreds of unique flavors that none of your friends will even know about. The tasting team tries beers from all different regions and rates them for their quality and taste. Only the best bottles ever make it to your doorstep. Each month four different styles are picked from the huge list above, and three bottles are included in your shipment from each style. The Microbrewed community is second to none. Their guides, newsletter, and blog are updated on a regular basis to ensure that you have great information about the current selection along with the history of each brewer. Their facebook and twitter pages also include tons of information as well as other members talking about the newest selection and varieties that they are excited about. 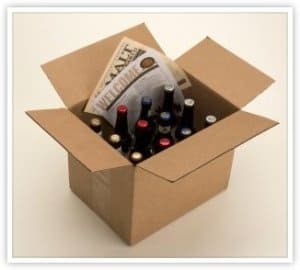 When dealing with any mail order company, you always have to be a little leery about shipping—especially when you are ordering beer in glass bottles. Luckily, Microbrewed has been doing this a really long time. 20 years of experience shipping bottles makes them an expert at knowing what to ship and when to ship it. Quality and timeliness are two of their biggest concerns. I was a little hesitant about ordering beer from a place like this at first because I wasn’t sure if it would taste the same as it does when you buy it at the local brewery. Trust me. You have nothing to worry about. Microbrewed take rigorous samples to ensure freshness and work with brewers to make sure the beer that arrives on your doorstep tastes exactly like the fresh brew at the brewery. They that ship a lot of beers with higher hop acidity that is more durable in the warmer months. Microbrewed Club knows that some artisanal beers are aged like wine while others are supposed to be enjoyed fresh. Don’t worry. They know what they are doing. They make sure every non-aged beer is brewed to order just weeks before you receive it. That’s where their brewery relationships come into place. I think customer service is important when dealing with any company. You want someone you can trust and someone that will be able to work with you instead of hassle you when something goes wrong. This is a huge priority for the Microbrewed Beer Club. 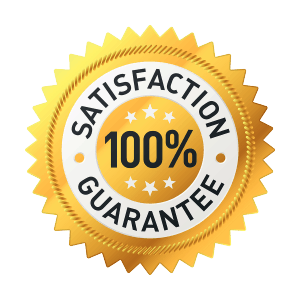 Microbrewed ensure 100% satisfaction every order and every item in that order. They want you to be completely happy with your selection and the high standards they put on their products. If you have any problems, you can return any item for a replacement or refund at any time. You can’t get much better customer service than that. I think the fact that they have 750,000 customers proves this. Sign up for a Microbrewed Beer Club membership today and start experiences some of the tastes and flavors that you wouldn’t have access to on your own. Get access to the world-class selection that will make your friends jealous at parties and give you something to talk about with other beer enthusiasts.